This is .223 Federal American Eagle 55gr. Bulk Pack FMJ Ammo. This ammo is brass cased, boxer primed, and 100% non-corrosive. This is new factory fresh ammo. This ammo is accurate, clean, and reliable. This is some great ammo for your expensive AR15. 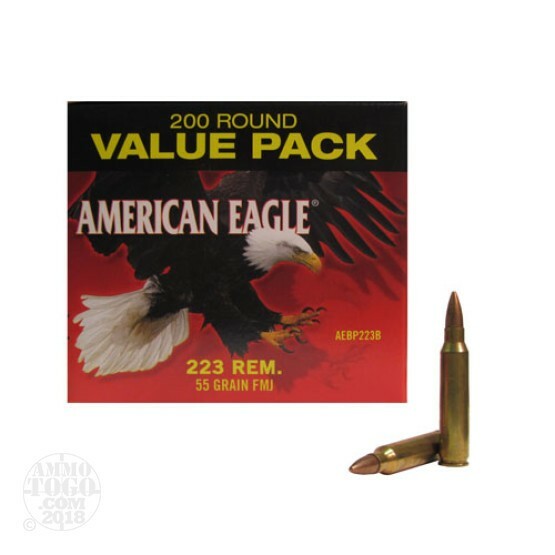 This ammo comes packed in 200rd. boxes, 400rds. per case.